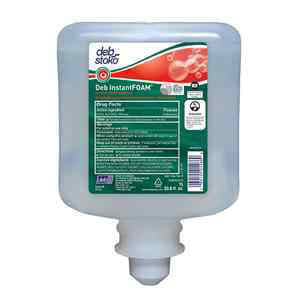 Catalog: InstantFoam® Hand Sanitizer 1 L. 6/Case. InstantFoam® Hand Sanitizer 1 L. 6/Case. Perfume-free and dye-free, this alcohol-based foam hand sanitizer works without water to kill 99.99% of many common germs in just 15 seconds. UL EcoLogo and USDA Biopreferred certified. NSF E3 registered. 1 L. 6/Case.